HP AlphaStation DS15 is an entry-level workstation that delivers more. For designers, engineers, and power users, the entry-level AlphaStation DS15 workstation will deliver great performance without denting your wallet. 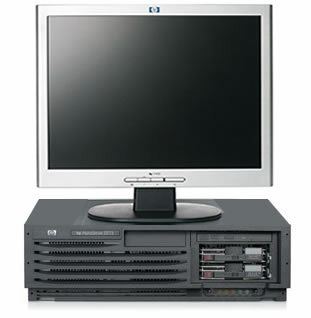 This low-cost workstation features a powerful 1 GHz Alpha processor, running your choice of the super-reliable Tru64 UNIX or OpenVMS operating systems in an expandable desktop design or rack-mount configuration. Need graphics capabilities? This workstation supports up to four ATI Radeon 7500 graphics cards. And you get two onboard 10/100 Mbit fast Ethernet controllers, a two-port Ultra160 SCSI controller, plus your choice of an internal or front-access storage cage.